We are a AAA approved auto repair center serving Ashland, OR, trust us with your vehicle! Sometimes we have special offers going, to help you save some money, check it out. We pride ourselves in customer service & our work. And it pays off when you read the kind words from customers. Gas is available 24 hours a day, 7 days a week! At Valley View Auto Repair we are dedicated to providing professional customer service and automotive repair. Our goal is to provide our customers with honest, quality service in a timely manner. We believe our customer’s needs and satisfaction come first. 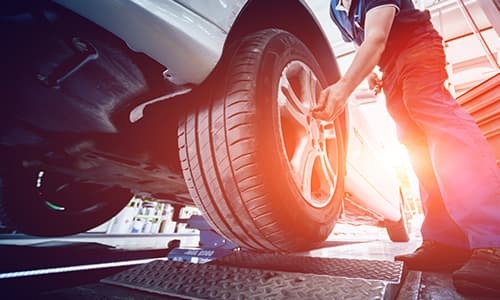 Valley View Auto Repair, is committed to maintaining a highly ethical and sound business practice in order to meet and exceed our customer’s automotive needs. Is it time to register your vehicle? are your DMV stickers about to expire? DEQ Too™ can help! Just like with most goods and services these days, DEQ is now providing an option to take care of your vehicle emissions test over the internet. Of course, you can always continue to test your vehicle in person at any of our conveniently located Clean Air Stations. Choose the most convenient option for your particular situation on any given day. “Don't let the aesthetics of this place fool you. It looks a bit rough, but is a great place to have your vehicle worked on. Vince has always been straight with me about what needs done and what gets done. This is the only place in town I take my car. It's been here a few times over the last couple years and I've always been treated fairly. “***** Five Star Rating from me. This place is great. I am new to OR and didn't know where to go to resolve a 'Check Engine' light problem. After reading some of the reviews I decided to take a chance at the Valley View 76. They provided me with a ride back to my house while they worked on the car. The mechanic called to give me the results of the investigation. It turns out that one of the emissions system was crushed/melted. He repaired it for the cost of an hour's labor. He then told me that the engine ran colder than normal (I knew it from watching the temperature needle...almost never above C) and the cost to repair would be $125...BUT...he said there was no rush to doing it and, in fact, I might never want to have it done. Great communication from a mechanic, I thought. Yesterday I had a slow leak in a tire and took it to them, again. Within 10 minutes they had the tire off, repaired, and replaced...plus brought all tire pressures up to recommendation. For $12.50 I was thrilled. “We received a call from our daughter driving back to U of O from California. Her car had developed a vibration whenever she applied the brakes. After a phone call and a quick search I found Valley view on yelp. Seeing it was Sunday afternoon I was happy to find a place to have the car checked out! “Last night we left La Quinta about 5:15, heading into town. Our plan was to stake out a place on the brick wall to watch the Green Show, a collaboration between the Portland Cello Project and Adam Matta. This year we have Nina's car, a 2006 Camry. As she backed it up we heard a scraping sound and as she started to drive away the scraping continued. We stopped to check out was what was going on. She looked and then motioned to me to come look. Hanging down was a piece of plastic that belonged under the car. We were on the road beside the 76 gas station. As we discussed what to do, Curt, a mechanic at Valley View Auto Repair, called out to us, asking what was wrong. We told him we weren't sure. He left the car he was working on (who works at 5:115 on a Sunday?) and came over to take a look. He and his colleagues agreed it was pretty simple to fix and happens all the time. They were very sweet and reassuring. Curt asked Nina where the car had been parked and walked over there to find a couple of parts that were missing, clips to hold the thing in place. He found them, but one was broken, so he went into the shop and got another. He moved the car he was working on off the lift and put Nina's onto it. In just a few minutes he had returned the dangling piece to its proper place. He lowered the lift, drove Nina's car off it, said 'Merry Christmas' and started to walk away. Nina insisted he take *something*. 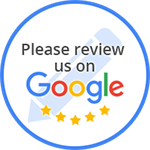 “I HIGHLY recommend Valley View Auto Repair (the garage associated with the 76 next to the La Quinta at Exit 19 in Ashland). I personally recommend Myles as an AWESOME technician. My car started acting up on a long trip with no clear reason, and Myles spent many hours trying to diagnose the problem. Turns out a part of my car that wasn't supposed to break wound up breaking, and Myles figured it out. His explanation was very logical and he was very honest and upfront about what was wrong. While it cost a few hundred dollars to fix, I had no qualms about forking over the money. Not to mention while my car was getting fixed they offered a FREE shuttle into Ashland. “We were heading to Ashland Oregon from Crescent City in our RV, when we noticed our auto air conditioning stopped working. First, it didn't get cold, then, later, the dash blower stopped working. When we arrived in Ashland, I used Yelp on my Android EVO to locate an auto Air Conditioning repair shop. we found one 5 star review. It's always unnerving to go to a business that you're not familiar with to repair a critical system because you totally feel at their mercy, and frankly, auto repair shops in general don't have a good rep. If every there was one to change that outlook, it was the good folks at Valley View Auto Repair. I called late on a Sunday afternoon, explained my problem, and made an appointment for 8am on Monday. When I arrived, Miles (the lead tech) took some time with me to understand the problem and diagnosed a blower motor problem. He fully explained my options and we agreed on the replacement. This was handled quickly and professionally. Unfortunately, this was not the only problem, because on two separate test drives, the problem recurred. Myles studied the wiring diagram, tech manuals, and online reports to refine the diagnoses to an intermittent short in the compressor clutch. To make a long (8 hour) story short, they got a new replacement compressor installed in time for us to sleep in our RV that night. Much more work was involved than the original (very reasonable) estimate, and additional parts were required, but they held to the original estimate. Myles told me 'sometimes you can do an hours job in 20 minutes, sometimes it goes a little longer, it evens out' and wouldn't take any additional money. They had 3 (sometimes 4) techs working on my RV for over 3 hours, and still stuck to the original estimate. Valley View Auto Repair offers quality auto repair & shuttle service if needed.